During our visit to Paris, we spent a day at the Chateau de Versailles, one of the well-known palaces of the Sun King, Louis XIV. 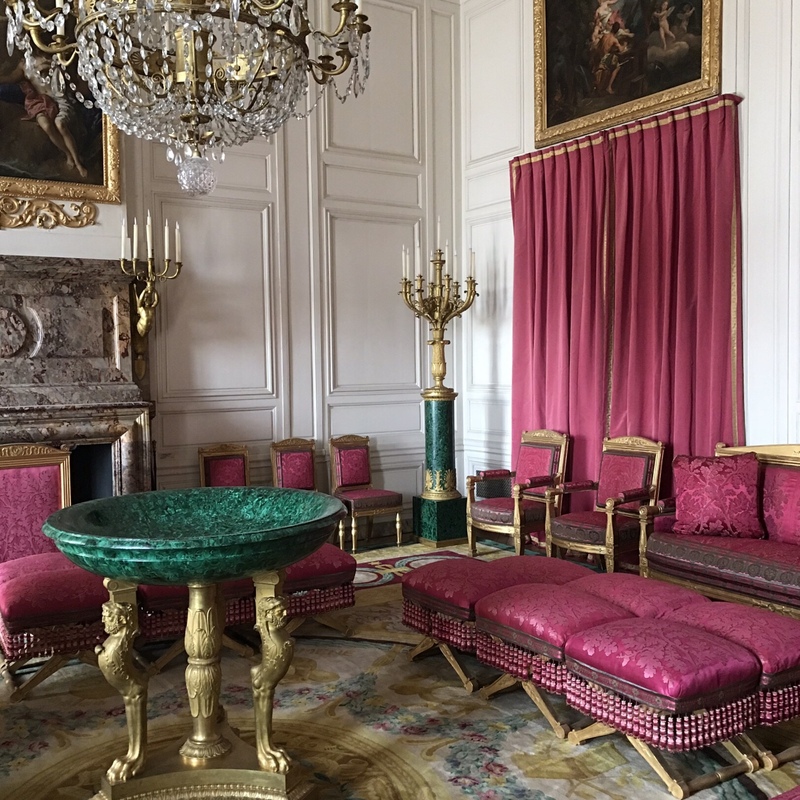 When visiting the Grand Trianon, a retreat built by Louis XIV for his mistress at the time, we were not surprised by the opulence of the rooms. One of the sitting rooms was decorated with fabrics of a deep cerise pink. One can imagine the King and his mistress, the Marquise de Montespan, entertaining their friends in this room. They certainly knew how to decorate a room.